Review by AllTheBestFights.com: 2019-04-21, pretty good finish between Kyoji Horiguchi and Ben Nguyen but it is not enough to get three stars: it gets two. The black belt in karate Kyoji Horiguchi entered this fight with a pro mma record of 26-2-0 (62% finishing rate) and he is ranked as the No.5 bantamweight in the world. He suffered his last loss when he faced former Ufc Flw champion Demetrious Johnson in 2015 (Johnson vs Horiguchi), since then he has won eleven consecutive bouts beating Ian McCall, Hiromasa Ogikubo and Darrion Caldwell in 2018 (Darrion Caldwell vs Kyoji Horiguchi). His opponent, the black belt in tae-kwon-do Ben Nguyen, has a record of 16-8-0 (81% finishing rate) and he entered as the No.14 flyweight but he comes off two consecutive losses, against Jussier Formiga da Silva (Jussier Formiga da Silva vs Ben Nguyen) and Wilson Reis (Ben Nguyen vs Wilson Reis); before this bout, in 2017, he had beat Tim Elliott (Tim Elliott vs Ben Nguyen). Horiguchi vs Nguyen is on the undercard of Muhammed King Mo Lawal vs Jiri Prochazka 2 – Rizin 15. Watch the video and rate this fight! Review by AllTheBestFights.com: 2019-04-21, disappointing fight between Muhammed King Mo Lawal and Jiri Prochazka 2: it gets two stars. The former Strikeforce light-Hw champion Muhammed King Mo Lawal entered this fight with a professional mma record of 21-8-0 (62% ko/tko victory rate – he has never won via submission) and he is ranked as the No.30 light heavyweight in the world but he won just one out of his last four bouts, against Quinton Rampage Jackson in 2017 (Quinton Rampage Jackson vs Muhammed King Mo Lawal 2); after this fight he has lost to Ryan Bader (Ryan Bader vs Muhammed King Mo Lawal) and Liam McGeary (Muhammed King Mo Lawal vs Liam McGeary). His opponent, Jiri Prochazka, has an official record of 23-3-1 (96% finishing rate) and he entered as the No.25 in the same weight class. He suffered his last loss when he faced Lawal the first time (December 21, 2015 Muhammed ‘King Mo’ Lawal vs Jiri Prochazka); since then he has won seven consecutive bouts defeating Brandon Halsey in his last one. King Mo vs Prochazka 2, main event of Rizin 15, is valid for the inaugural Rizin light heavyweight title. Watch the video and rate this fight! Review by AllTheBestFights.com: 2019-04-20, some good exchanges between Islam Makhachev and Arman Tsarukyan but it is not enough to get three stars: it gets two (UFC Fight of the Night). The 2016 world combat sambo champion Islam Makhachev entered this fight with a professional record of 16-1-0 (62% finishing rate) and he is ranked as the No.19 lightweight in the world. He suffered his only loss when he faced Adriano Martins in 2015 (Adriano Martins vs Islam Makhachev), since then he has won four bouts defeating Gleison Tibau and Kajan Johnson in 2018. His opponent, Arman Tsarukyan, has a mma record of 13-1-0 (77% finishing rate) and he entered as the No.104 in the same weight class. He also suffered his only defeat in 2015, against Alexander Belikh, but then he has collected 12 consecutive victories taking revenge on Belikh in 2016 and beating Felipe Olivieri in his last one. Makhachev vs Tsarukyan is on the undercard of Alistair Overeem vs Alexey Oleinik – UFC Fight Night 149 (UFC on ESPN+ 7). Watch the video and rate this fight! Review by AllTheBestFights.com: 2019-04-20, pretty good fight between Antonina Shevchenko and Roxanne Modafferi: it gets three stars. The undefeated former 2017 WMC muay thai super-Lw champ Antonina Shevchenko entered this fight with a perfect record of 7-0-0 (29% ko/tko victory rate – she has never won via submission) and she is ranked as the No.17 women’s flyweight in the world. She fought twice last year winning over Jaimelene Nievera and Ji Yeon Kim. 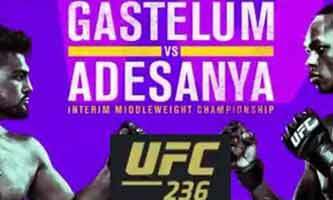 Her opponent, the former Iska Mw champ Roxanne Modafferi, has a mma record of 22-15-0 (41% finishing rate) and she entered as the No.21 in the same weight class but she lost two out of her last three fights, against Nicco Montano in 2017 (Nicco Montano vs Roxanne Modafferi) and Sijara Eubanks in 2018; between these two bouts she beat Barb Honchak. 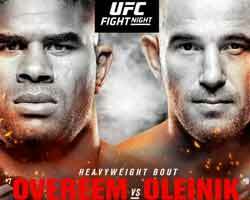 Shevchenko vs Modafferi is on the undercard of Alistair Overeem vs Alexey Oleinik – UFC Fight Night 149 (UFC on ESPN+ 7). Watch the video and rate this fight!